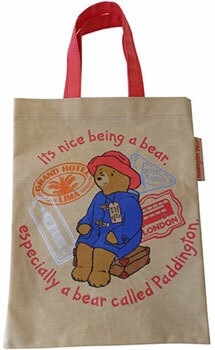 Paddington - Nice Being A Bear Small Tote Discounts Apply ! A cute little shopping bag featuring Paddington Bear . This fun little bag is just the size for carrying magazines, books and toys. there are other pieces in the Paddington range .